It all started with a computer chip. Coined 40 years ago, the term “Silicon Valley” originally referred to the silicon chip manufacturers that helped build the high-tech movement in the San Francisco Bay Area. The region has been a technology hot spot since, but today, it’s evolved from hardware giants into social technology and consumer internet, thanks to companies like Google and Facebook. “Silicon” is no longer literal, but a metonym for the entrepreneurial spirit that’s fueled the region’s growth for decades. But the Bay Area isn’t this country’s only pocket of innovation, and “Silicon (fill-in-the-blank)” is an increasingly popular shorthand for regions with brewing start-up scenes. With predictions that start-ups will bring the United States out of its recession, entrepreneurs across America are stepping up to the plate. Here’s where the action is happening. One thing Detroit isn’t short on is available real estate, and projects like the revitalization of the Madison Building downtown and Phil Cooley’s Pony Ride property in Corktown will provide much-needed incubator space for Motor City entrepreneurs. Michael Symon's Roast Lands On Esquire Magazine's "Best Beer Menus In America"
Iron Chef Michael Symon may call Cleveland home, but he's put his best beer menu in Detroit. Symon's Roast boasts a stunning lineup of sour, acidic, and funky ales served in wine-size bottles, with the stated goal of turning wine drinkers on to beer, a project I'm more than willing to get behind. The kitchen's "Beast of the Day" and a bottle of Jolly Pumpkin's Noel de Calabaza, a Michigan-brewed Christmas ale aged in oak barrels, can provide you with all the warmth you need this winter. In its five-decade history, Autoweek has expanded from its origins as a print magazine to creating and delivering content across multiple platforms. Next, Autoweek takes on primetime television with the debut of Autoweek’s Vinsetta Garage on Velocity, the network launched by Discovery Channel in October. Named for the storied auto repair shop on Detroit’s legendary Woodward Avenue, Autoweek’s Vinsetta Garage gives us a closer look at car culture from all over the country. Before joining Autoweek, host Courtney Hansen worked at Fox Sports and at TLC where she co-hosted the showcar makeover program Overhaulin with Chip Foose. She is currently hosting her seventh season of Spike TV’s “PowerBlock”. Hansen will be joined on screen by various Autoweek editors and special guests from around the country, with Emmy Award-winning, Detroit-based Gary May directing. Vinsetta Garage opened as a repair shop for carriages and Model Ts almost a century before it’s closing in 2010. Now owned by KC Crain and restaurateur Curt Catallo, this storied part of Detroit’s automotive legacy will live on with its repurposing as a sister restaurant to metro Detroit’s famed Union Woodshop and Clarkston Union. Autoweek’s Vinsetta Garage marks a new chapter in the histories of both Vinsetta and Autoweek. Viewers can visit www.vinsetta.com to learn more about the show and to view a trailer. Follow Autoweek’s Vinsetta Garage on Facebook (facebook.com/VinsettaTV), Twitter (@VinsettaTV), and YouTube (youtube.com/VinsettaTV). The Daily Show Pokes Fun At Dearborn Filmed All-American Muslim "Controversy"
TLC's latest reality show, All-American Muslim, filmed in Dearborn, latest "controversy" is discussed on the Daily Show. Pretty funny stuff. This has become one of my favorite shows. 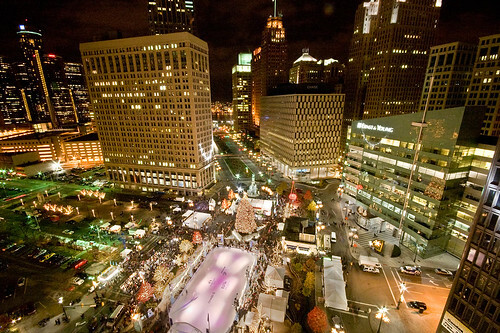 It portrays Detroit and these families in a very positive light. Tune in and check it out! Bus Rapid Transit: Bogotá from Streetfilms on Vimeo. Holiday Pop-Up Exclusive Featuring Fotoula Lambros Design This Sun 1 - 8pm! THIS WEEKEND! Sunday Funday December 11th at Dolce Moda 1p-8p. DJ Jenny Lafemme will be soothing our Sunday with her soulful house music. FLD is hosting a Trunk show, accompanied by mimosas and exclusive discounts during the event! 20% Off All New Arrivals! 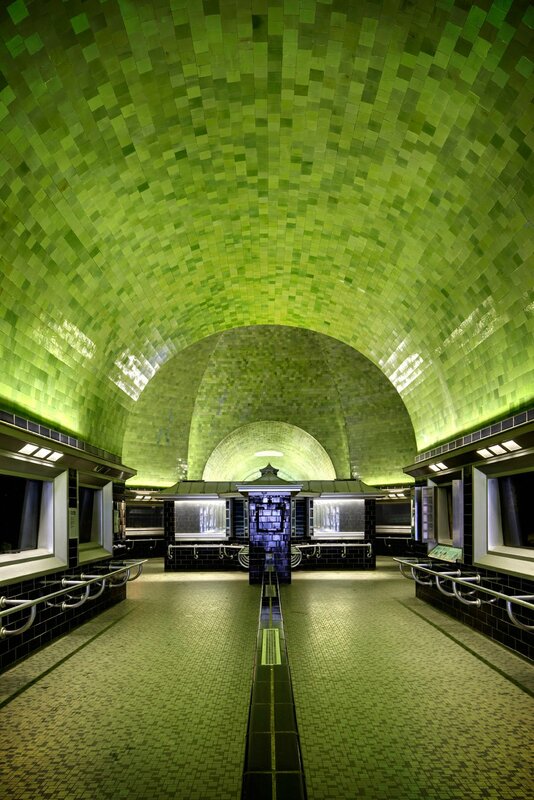 Vote For the 107 Year Old Belle Isle Aquarium in The Pepsi Refresh Project!! The Belle Isle Aquarium needs your vote! They are in the running for $50,000 from the Pepsi Refresh Project. Monies will be spent to repoen the aquarium, which has been closed for the past couple of years. The Belle Isle Aquarium is a valuable piece in the Detroit history puzzle. It was designed by notable architect Albert Kahn and opened in 1904. It was considered the finest aquarium in the world by experts. When it was open, the aquarium had 60 exhibits with a total tank volume of 32,000 U.S. gallons and was home to over 1,500 fish of 146 species. The aquarium largely featured freshwater species native to the Great Lakes region, but also had salt-water species from around the world. The aquarium made news in 2002 when one of its female white-spotted bamboo sharks gave birth to two young despite not having been near a male in six years in a suspected rare case of parthenogenesis. Click HERE to vote for the Belle Isle Aquarium. They need to stay in the top ten in order to receive funding! And so they upped sticks and relocated their office and two colleagues to ... Sarajevo, Bosnia, where they set about finding a cast of interesting characters – a war photographer, the author of a cookbook, a film director – who would help them "tell a new story about the city". The result was Boat Magazine, a "nomadic" publication that focuses on one city per issue. Despite being upstarts in publishing the Spens commissioned an impressive array of writers from Dave Eggers, who introduces the issue with an extract from his short story collection How We Are Hungry, to Scottish writer Sophie Cooke and a host of international names. And of course, as a labour of love by people passionate about design, it looks beautiful - printed on luxurious thick matt paper, clever and smart. You can read Boat online and subscribe to the print version at boat-mag.com. So where do you go from war-ravaged Sarajevo? 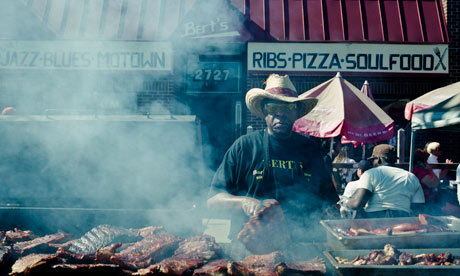 Detroit, Michigan, is ravaged in a different way – but is equally unloved and under the radar. Published this week with an introduction by Detroit-born author Jeffrey Eugenides, it features basketball stars, It Girls, city farmers and a film director. Their next move? Sao Paulo, due out in April. The following is an extract from the current issue – by photographers Liz and Max Haarala Hamilton – on some of the best and most interesting places to eat and drink in Detroit - and the people behind them.